Can Hamsters Run Themselves To Death? It is well known that hamsters love to run. They are extremely energetic creatures who need to have the space or the apparatus such as a wheel or a ball to run in. In fact, they are born to run and is something that is very natural for them to do. In their natural habitat, hamsters can run up to 5 miles every night so as to find food to eat and places to hide away from predators. If they are not sleeping, eating, or pooping, they are probably running or at least moving around. So what happens if a hamster does not stop running due to the amount of energy that they have? The great thing about hamsters is like other animals. They are very self regulating and know how to stop and rest when they need to do so. In the wild, they will find somewhere to rest which is safe for them to do so. In captivity, they will simply retreat from the hamster wheel or stop running in a hamster ball if they need to. The only reason that hamsters may keep running, is if they are being pursued by a predator in the wild. They have to keep running, they know if they stop they will be killed. But other than that, you can be rest assured that they will stop when they need to. Can Hamsters Eat Soda Crackers? 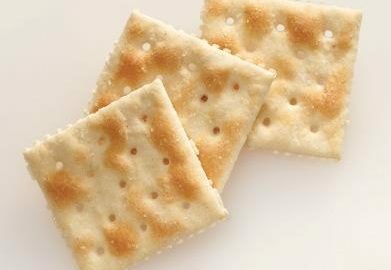 A saltine or soda cracker is a thin, usually square cracker made from white flour, yeast, and baking soda, with most varieties lightly sprinkled with coarse salt. It has a very dry and crisp texture. Saltines are commonly eaten as a light snack, often with cheese, butter or peanut butter. They may also be dipped or crumbled in stews, chilis, soups or dips, or crumbled into salads. Typically they are sold in boxes containing two to four stacks of crackers, each wrapped in a sleeve of waxed paper or plastic. In restaurants, they are found in small wrapped packets of two crackers, which generally accompany soup or salad. So can hamsters eat soda crackers? No they can’t unfortunately. Their salty content is not good for hamsters to eat and may make them sick if they eat it. Can Hamsters Eat Smoked Ham? Smoked ham is a popular serving of meat, cut from the pork leg. It is cured with salt and spices, then subjected to slow and steady heat for varying periods. The smoking is carried out in a special chamber called a kiln. Before smoking, the pork is submerged in a brine solution containing water, salt, and sugar. So can hamsters eat smoked ham? They can nibble at it, however it is not the best food for hamsters to eat and there are better foods to give them that provide better nutritional value for them. Can Hamsters Eat Strawberry Leaves? The strawberry plant has a short thickened stem (called a “crown”) which has a growing point at the upper end and which forms roots at its base. New leaves and flower clusters emerge from “fleshy buds” in the crown in the early spring. Some cooks dislike working with berries because they have to remove the leaves and stems – a process called coring the berry. In fact, the leaves and stem part of the strawberry contain benefits that are good for your health. So can hamsters eat strawberry leaves? Yes they can as long as they are thoroughly washed before feeding to your hamster. They will really enjoy eating them. A few leaves at time will be sufficient for them. The superworm is the common name for the larvae of a species of darkling beetle. Superworms are common in the reptile pet industry, not to be confused with giant mealworms. These insect larvae resemble very large mealworms, about 1.7 to 2¼ inches long (50-60 mm) when full size. They have 6 small legs and two rudimentary hind prolegs. Once they reach adult size, the larvae pupate, and later emerge as large, black beetles. Superworms are accepted by lizards, turtles, frogs, salamanders, birds, koi and other insectivorous animals. Their hard chitin may make them less suitable for arachnids and some predatory insects. Their tendency to bite may make them unsuitable for some insectivorous mammals, such as hedgehogs. So can hamsters eat superworms? Unfortunately, they are not good for them to eat due to what is mentioned above. Their tendency to bite could cause a hamster great problems and should be avoided. Snail is a common name that is applied most often to land snails, terrestrial pulmonate gastropod molluscs. Snails are neither mammals nor reptiles. Snails can be found in a very wide range of environments, including ditches, deserts, and the abyssal depths of the sea. Although landsnails may be more familiar to laymen, marine snails constitute the majority of snail species, and have much greater diversity and a greater biomass. So can hamsters eat snails? Unfortunately, they can’t eat them at all. They are extremely bad for them and should be avoided mainly due to the parasites that they may contain. Can Hamsters Eat Tinned Sweetcorn? Sweet corn is a variety of maize with a high sugar content. Sweet corn is the result of a naturally occurring recessive mutation in the genes which control conversion of sugar to starch inside the endosperm of the corn kernel. Unlike field corn varieties, which are harvested when the kernels are dry and mature (dent stage), sweet corn is picked when immature (milk stage) and prepared and eaten as a vegetable, rather than a grain. Since the process of maturation involves converting sugar to starch, sweet corn stores poorly and must be eaten fresh, canned, or frozen, before the kernels become tough and starchy. So can hamsters eat tinned sweetcorn? In particular, their acidic, water, sugar, fat, calcium, salt, and phosphorus content is of most interest as far as hamsters are concerned. As you can see sweetcorn contains a lot of water, acidic content, quite a bit of sugar, and a little fat. This means that they are fine for Roborovski and Syrian hamsters to eat. However due to their sugar content they are not the best for Chinese, Winter white dwarf, and Russian Campbell Dwarf hamsters. This is because they are prone to diabetes and sweetcorn may make them sick. Just one or two kernels of twinned sweetcorn are sufficient for them. Can Hamsters Eat Turnip Greens? Turnip greens have quite a bitter taste and are known for their calcium content. They resemble mustard greens (to which they are closely related) in flavor. Turnip greens are a common side dish in southeastern U.S. cooking, primarily during late fall and winter. Smaller leaves are preferred; however, any bitter taste of larger leaves can be reduced by pouring off the water from initial boiling and replacing it with fresh water. Varieties specifically grown for their leaves resemble mustard greens more than those grown for their roots, with small or no storage roots. These include rapini or broccoli rabe, bok choy, and Chinese cabbage. So can hamsters eat turnip greens? Yes they can but don’t give them too much due to their calcium content but your hamster will enjoy them. Woodlice are from the class Crustacea family and the members of this family include shrimps, crabs, and lobsters. They are insects that are found usually under rotting pieces of wood. They have a shell-like exoskeleton, which it must progressively shed as it grows. Woodlice can also invade homes en masse in search of moisture and their presence can indicate dampness problems. So can hamsters eat woodlice? No they can’t due to the bacteria that they could possibly contain having been out in the wild. Its just too much of a risk for them. If they happen to eat one, just keep an eye on the hamster to ensure their are no ill effects from eating it. Can Hamsters Eat Yogurt Chips? 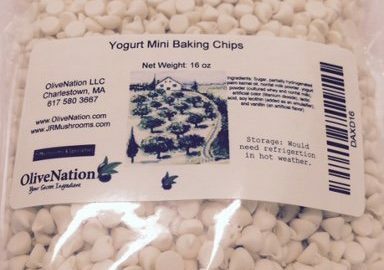 Yogurt chips are organic bananas that are coated in yogurt white chocolate and yogurt coating so as to sweeten their flavor. They are a natural tasty treat which is beloved by many and sold around the world in groceries and supermarkets. It is a great treat for snacking on and are usually certified organic. So can hamsters eat yogurt chips? Unfortunately, they cant eat them because of their lack of nutritional content. Yogurt chips are just too sweet for them to handle and should be avoided if necessary as they may harm a hamster if eaten.